An die schönen Blauen Donau - concert arabesques after a waltz by J. Strauss jr. It's been a good while since we've had quite so much enthusiastic feedback about a disc featured in our weekly newsletter as there's been over the past couple of days --. many of you have been in touch over email to let us know how much you're enjoying "Dances" and to share your memories of Benjamin's live performances . . .
. . . ["Dances"] bears witness to his characteristically warm, mellifluous tone, his irresistible sense of rhythm and the special combination of sense and sensibility . . .
A young pianist shines in Bach and boogie . . . [you'll find lots of] artistic personality in this lively and intelligent double album . . . [J.S. Bach / Partita no. 4 BWV 828]: [Grosvenor gives] us Bach playing with elegant clarity and a gentle heart. The poise of the sarabande is particularly exquisite: Grosvenor at such points seems inside the notes, entirely the music's servant . . . one pleasure follows another, with carefully balances textures, widely varied degrees of touch and virtuosity that comes as naturally as breathing. Three od Scriabin's early mazurkas glide by, fluidly poetic, music poised between the concert hall and the salon . . . [Granados's "Valses Poéticos" are] pitched with exquisite skill and delicacy . . . a deliciously smoky Albéniz tango . . . This is an exhilarating programme all told, from a greatly gifted young artist. Excellently recorded, too. His virtuosity is most floridly displayed in Adolf Schulz-Evler's gloss on Strauss's "By the Beautiful Blue Danube", but it's the Bach Partita that best displays a talent where an assured modesty allows the music's subtler charms to shine through. A superb collection from a brilliant young pianist . . . an outstanding collection of pieces . . . Here Grosvenor brings all of his virtuosic brilliance and musical intelligence to a wide-ranging and very attractive selection of pieces, all immaculately played and crisply recorded.
. . . a wonderful array of piano music inspired by various dance forms . . . do check out the album -- brilliant piano playing of a wide range of repertoire!
. . . the delivery is absolutely winning . . . [Chopin]: [Grosvenor] bowls you over with his flexibility and power: the "Grande Polonaise Brillante" is terrific . . . The discovery is the "Valses Poéticos" by Granados, done with total charm and dash. Even the trashy Schulz-Evler mash-up of Strauss's "Blue Danube" is transmuted by Grosvenor into something breathtaking.
. . . this is piano playing of nimbleness and elegance. From Bach's Partita No 4, sensitive . . ., he goes on to scintillating Chopin Polonaises, a clutch of fleeting Scriabin mazurkas, some entrancing Granados waltzes, and -- showing off a sprightly set of heels -- a virtuoso arrangement of Johann Strauss's "The Blue Danube", which is a real showpiece. An invitation to take a twirl round the ballroom with Grosvenor is one worth taking up.
. . . [Benjamin Grosvenor] is already showing the kind of form that could one day put him on a similar pedestal to Uchida's. Grosvenor is, in the best sense of the word, a young fogey. He not only plays brilliantly, but is also very interested in the performing traditions of the past . . . [think] of the kind of golden-age pianists who flourished early in the 20th century and revelled in giving recitals containing an extraordinary range of music . . . Among today's pianists, only Stephen Hough would contemplate such an album -- and Grosvenor stands up pretty well to the comparison.
. . . Grosvenor has individuality to match his precocity, and, once you hear him, his distinctive, infectious sound will remain as clear and vivid in your auditory memory as the voice of a front-rank singer -- of a Pavarotti, even, for me the acid test . . . When I listen to Grosvenor, it is as if there are little . 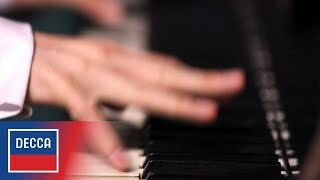 . . explosions on the ivories, so energized and even electrifying is his touch . . . What he makes it sound is exuberant, irresistible and robustly healthy . . . ["Dances" CD]: [the program is] so clearly in his hands, bones and bloodstream that, even at its most spontaneous and cheeky, you wouldn't call it risk-taking. The pianist's own delight in the music . . . keeps popping up everywhere . . . his playing is stylish in every sense; the shapes of the strongly contrasting dance movements are carefully molded, and each fitted proportionally into the whole . . . Grosvenor respects both the music's feeling and yours. What he most brings forward from the harpsichord sonority is an enlivening brightness, without glare. What's clear from this Baroque beginning is that you're in for some rip-roaring fun, none of it at the composer's expense. My own "show me" attitude about his "Andante spianato and Grand Polonaise brillante" of Chopin . . . found me wallowing in that most exhausted of critical cliches: that I was hearing much of the piece for the first time. It's rarely rippled as seductively, and the cascading phrases at its midpoint run down your spinal chord. The elasticity of line . . . is perfectly felt, not perfectly judged, and it similarly informs the rhythms and currents of the darker F-sharp minor Polonaise . . . The arresting thing about the disc's most unashamed showpiece, "Arabesques on Johann Strauss' By the Beautiful Blue Danube," is its grace and poise. Full letting go is saved for Morton Gould's "Boogie-Woogie Etude," which nearly jumps the tracks. Long before it's over, this CD is going to slap a smile on your face.
. . . [lovingly planned] performances that are carried forwards on an irresistible tide of youthful exuberance . . . a surpassing brilliance and character . . . such dazzle and re-creation result from intense discipline . . . there is a sense of joyful release, of music-making free from all constraint . . . [J.S. Bach / Partita no. 4 BWV 828]: the most substantial item on the disc . . . Grosvenor gives us Bach, our timeless contemporary. What drama and vitality he finds as he launches the Overture, what a spring -- even swagger -- in his step in the Courante, what unflagging but unforced brio in the final Gigue . . . Grosvenor creates his own authenticity, reveling in music of an eternal ebullience and inwardness, and erasing all notion of faceless sobriety . . . high-octane vitality . . . playing of a rare poise and refinement . . . [Chopin]: Grosvenor keeps everything smartly in the move (he is the least sentimental of pianists), spinning the composer's vocal line in the introductory "Andante spianato" with rare translucency and with decorations cascading like stardust. There is never a question of attention-seeking . . . everything is as natural as breathing. Textures, too, are as light as air . . . [Polonaise op. 44]: detail is as acute as ever, with flashing octaves complemented by magically sensitive central Mazurka and a sinister close . . . Effortless elegance and brilliance . . . Whether in free-floating whimsy or explosive energy, Grosvenor exhibits a total empathy with every facet of Scriabin's Waltz. . . In Grosvenor's hands [it] becomes one of Scriabin's most intoxicating creations and so, too, do Granados's "Valses poéticos". . . [a] seemingly inborn elegance and sophistication in [J. Strauss/Schulz-Evler / "Arabesques on The blue Danube"] . . . Bravura combines with finesse to make Grosvenor's opening pages of this virtuoso classic something to marvel at . . . [Grosvenor's Albéniz-Godowsky Tango] is exquisite in its own entirely personal way . . . a fizzing finish in Morton Gould's "Boogie-Woogie Etude", and a headlong charge with still enough colour and variety to bring even the most staid audience to its feet. Benjamin Grosvenor may well be the most remarkable young pianist of our time . . . Decca's sound is excellent and this is a disc to prompt wonder and delight in equal measure.
. . . [J.S. Bach / Partita no. 4]: beauty of tone and a wide palette of nuances . . . [Chopin]: Grosvenor's brisk yet flexible tempo helps create an attractively undulating left-hand accompaniment. It leads into a Grand Polonaise full of fanciful rubato and amazingly deft, sparsely pedaled right-hand passagework that reminds me of Josef Hofmann's similar suppleness . . . the sensuous surface style of three Mazurkas and the A-flat Waltz Op. 18 by Scriabin . . . absorbs Grosvenor's affetuoso temperament . . . by focusing on the melodies and keeping the basic pulse steady in the main sections . . . Grosvenor tosses off the Schulz-Evler/Strauss "Blue Danube" transcription's torrents of notes with an almost detached effortlessness and weightless sweep. The concluding selection, Morton Gould's "Boogie-Woogie Etude", truly swings, abounding with perky accents and dynamic hairpins . . . One hopes that the 22-year-old Grosvenor's musicianship will reach a consistent plateau on par with the uncanny refinement and sophistication of his pianism. Mark Ainley's superbly written booklet notes discuss the music informatively and succinctly.
. . . [Grosvenor] does a fine job here with a far-ranging disc . . . I like the theme of the recital, which is music influenced by dance. Grosvenor's technique seems up to pretty much anything . . . Three Scriabin mazurkas have an appealing, delicate salon sound . . . The stomping Morton Gould is a lot of fun . . .
. . . consistently brilliant. I've not heard him do Bach before; the Partita no 4's "Ouverture" unfolds with mesmerising clarity and confidence, followed by a luxuriant, melting "Allemande". Faster movements sparkle, the final "Gigue" dispatched with a cheeky, though never cocky, wit . . . [Chopin / Polonaise in F sharp minor]: Decca's rich sound makes [it] a brooding, visceral experience, so it's a relief to reach three early mazurkas composed by the young Scriabin. His Op. 38 Valse is more characteristic -- sensual, fruity music, hinting at the voluptuous extravagance of this composer's later work . . . [Granados / 8 Valses poéticos]: Grosvenor plays them deftly, simply, and with enormous affection . . . [Strauss/Schulz-Evler / "An der schönen blauen Donau"]: The playing is dazzling . . . Two encores do hit the spot -- Godowsky's lush reworking of Albéniz's "Tango", and a terrifying, exhilarating "Boogie-Woogie Etude" composed by Morton Gould in 1943. Classy stuff.
. . . the usually splashy Arabesques on Johann Strauss' "By the Beautiful Blue Danube" are brought under control in a delightful way . . . for those looking for a savior of British music, Benjamin Grosvenor certainly bears watching.
. . . one of the most exciting talents to have emerged in recent years . . . There is something of the conjuror and the magician about Grosvenor. His stage demeanour is quiet and humble, his technique is effortless and flawless, his rhythmic energy and flexibility are a constant source of delight, the range of colours he produces and his dynamic range are possibly without parallel, and this is done with an unassuming modesty that reveals so much about his talent: he does not seek to amaze, and he does not need to . . . Grosvenor's Bach is rich in expression and nuance without loss of pulse, and the lavish ornamentation in the opening Overture to Bach's "Partita" no. 4 is glorious . . . [Chopin's] "Grande polonaise" reveals Grosvenor's genius for dynamic contrast . . . a youthful performance with exuberance and zest for life at every turn . . . [in Scriabin's "Mazurkas",] Grosvenor constantly coaxes the music, and they are wonderfully wayward in these interpretations . . . [the closing tracks] reveal Grosvenor's virtuosity at its best . . . [the extraordinairy demands of Adolf Schulz-Evler's "Arabesques on Johann Strauss's 'By the Beautiful Blue Danube'"] do not faze Grosvenor in the slightest, with fabulous melodic shaping and tonal colouring entirely unaffected by the challenges of the constantly fiendish passagework . . . another exceptional release.
. . . an entertaining program . . . Obviously this superb artist has no technical limitations -- he tosses off the fiendishly difficult "Blue Danube" paraphrase with the greatest of ease, and beauty of tone as well. Excellent audio. In at no. 1 this year, it's the young piano sensation Benjamin Grosvenor with a daring, exciting collection of Dances that really, really shouldn't be this good for someone who's only 22. Maturity and, crucially, fun leak out of every movement here, whether it's a Bach Partita, some Chopin or a dash of boogie-woogie. Ben, you make us sick with your prodigiousness, but we love you. A worthy winner, a thoroughly nice guy and surely a legendary classical music figure in the making.
. . . a dazzling display of solo works for piano . . . I doubt we will ever again have a "Pianist of the Century" on the order of Horowitz and Richter, but if the title is to be shared, a generous piece might go someday to Benjamin Grosvenor. Among the young virtuosos with a high profile, he's as impressive as Daniil Trifonov and Jan Lisiecki . . . One listen to the Chopin Polonaise in F Minor from this new CD and there can be no doubt about his musical imagination. His reading rivals great ones from Horowitz, Rubinstein, Pollini -- anybody, in my experience . . . Grosvenor's sensibility seems to impart a touch of Chopin to everything on the program . . . [Scriabin]: The three mazurkas from op. 3 are welcome for their unfamiliarity. Grosvenor's readings are impressive for being so coherent and suavely cultivated -- the Waltz in A-flat is a particular delight . . . Also fairly obscure are Granados's eight "Poetic Waltzes" . . . Grosvenor's light, sophisticated touch fits them like a glove. Knowing that poetry doesn't sell hot dogs, he's included a dazzling Arabesque on the "Blue Danube" waltz . . . Grosvenor's technique easily overcomes every difficulty while turning acrobatic stunts into real music . . . all three of his albums so far have proved to be dazzlers. The piano and recorded sound on this CD are very listenable. Fears that this recital would feel diffuse and unfocused are banished by Grosvenor's Bach, the brilliance of his Chopin and Scriabin, and the poetic delight of the Granados waltzes. Morton Gould's boogie-woogie encore finishes with a flourish; it's only Grosvenor's third recital, but boy do his fingers dance.
. . . brilliant pianism . . . His "Dances" CD breathes the air of another age of piano recitals, where baroque dances rubbed shoulders with romantic miniatures and virtuoso extemporisations. Der britische Pianist Benjamin Grosvenor zählt zu den drei, vier wichtigsten Pianisten seiner Generation . . . Hyperbrilliant im Anschlag, gesegnet mit dem vielleicht schönsten Klavierton seit Solomon, ragt er aus der Reihe britischer Pianisten dieses und des vergangenen Jahrhunderts weit heraus. So sehr, dass man ihn für ein Phänomen halten könnte . . . Bei Decca erschien mit "Dances" jüngst die dritte, wiederum sehr schöne CD dieses mehr als hoffnungsvollen Pianisten . . . Er beweist sich erneut als technisch überlegener, ausserordentlich klangschön phrasierender und originell programmierender Künstler, der Vergleiche mit den höchstgehandelten Pianisten seiner Generation . . . nicht einen Augenblick lang zu scheuen braucht. Very british. Und: Absolutely amazing. Mit glitzerndem, hell leuchtendem Ton und prononciert virtuosem Zugriff präsentiert sich Grosvenor dabei als origineller, überragend souveräner Solist, der tatsächlich unter die besten drei, vier der ganz jungen Generation zu rechnen ist. Eher unbritisch mag der brilliante Angang wirken, durchaus britisch ist das Ziel, nicht etwa dogmatisch einem Komponistenwillen zu huldigen oder den Entertainer hervorzukehren, als vielmehr Wohlgefallen, Vergnügen und Freude unter den Zuhören zu verbreiten. Darum die bunte Mixtur . . . Ein fulminanter Pianist, . . . den man sich nicht entgehen lassen sollte.
. . . [Grosvenor] zeigt sich als Künstler mit unbegrenzten technischen Möglichkeiten . . . Benjamin Grosvenor erscheint wie eine Wiedergeburt der großen Pianisten aus dem goldenen Zeitalter des Klaviers. Er liebt das Außergewöhnliche und spielt Stücke von Skrjabin, Granados, Godowsky und vielen anderen Komponisten abseits vom Mainstream. Der junge Brite hat auch keine Angst vor Bearbeitungen, und unter seinen Händen kann das Klavier zum klanggewaltigen Orchester werden . . . [J. Strauss/Schulz-Evler / "An der schönen blauen Donau"]: Mit nonchalanter Eleganz tanzt sich Benjamin Grosvenor durch dieses enorm schwierige Arrangement . . . [seine CD "Dances" ist] fantastisch in ihrer Vielfalt von Bach bis Boogie. Benjamin Grosvenor hat mit Sicherheit das Zeug für eine ganz große Karriere am Klavier. Spitzentänze -- Mit seinem zweiten Solo-Recital für Decca bestätigt Benjamin Grosvenor bravourös seinen Rang als überragende Begabung der jüngsten und wahrlich nicht schlecht bestückten Pianistengeneration . . . [auf] "Dances" beginnt der junge Brite, zur Zeit der Aufnahme noch nicht einmal 21 Jahre alt, sein Programm mit der großen, ungewöhnlich locker, beschwingt und fantasievoll, dabei pointiert und klanglich erlesen transparent vorgetragenen D-Dur-Partita von Bach. Überzeugender fast noch die folgende "Grande Polonaise" von Chopin, sie zeigt Grosvenors außergewöhnliche Fähigkeit, alle kompositorischen Feinheiten der Musik ohne die geringste Forderung voll auszuspielen . . . und bringt die wogende Virtuosität des Jugendwerks überschäumend zur Geltung. Ebenso hilft ihm seine (nicht nur für sein Alter) verblüffende manuelle und musikalische Freiheit, die Oktav-Sperrigkeiten der großen fis-Moll-Polonaise mit rassiger Attacke vergessen zu machen. Und auch die folgenden Titel seines anspruchsvollen Recitals -- mit Schulz-Evlers berühmt-gefürchteter Bearbeitung von Johann Strauss' "Schöner blauer Donau" als virtuosem Höhepunkt -- legt Grosvenor mit staunenswerter Mühelosigkeit und Vollkommenheit hin. Jugendlich-genialisches Klavierspiel, das jedem, wirklich jedem Vergleich standhält. 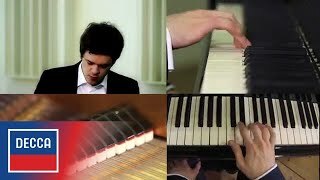 [Eine der] besten Aufnahmen des Jahres 2014 . . . Mit müheloser Virtuosität und viel nachschöpferischer Phantasie spielt sich Benjamin Grosvenor endgültig in die Spitzengruppe der jungen internationalen Pianistengeneration.
. . . le mélomane y trouve largement son compte, car voilà un album qui est à la fois un véritable projet éditorial en même temps qu'une nouvelle preuve du talent original du très jeune pianiste britannique (22 ans). Sa Quatrième Partita de Bach est finement ciselée et coule avec évidence, son Chopin est chantourné, volubile et intime, son Granados, coloré et populaire et le reste à l'avenant. La sonorité de Grosvenor est claire et lisible, son art est empreint d'une simplicité qui fait du bien. [J.S. Bach]: Sept danses du XVIIIe siècle, interprétées avec grâce et élégance ("Ouverture", "Allemande", "Sarabande", "Menuet"), mais aussi avec vigueur ("Gigue") et avec rythme ("Courante" et "Aria"). Son approche, avant tout purement pianistique sur un instrument moderne (Steinway & Sons, modèle D), met en valeur la beauté du son adapté à chaque forme de danse. Dans les deux "Polonaises" de Chopin . . . il est fluide ("Andante spianato"), vivace et gaillard ("Grande Polonaise"), et robuste ("Cinquième Polonaise"). Ces Chopin ainsi que les trois "Mazurkas" et une "Valse" de Scriabine -- dans lesquelles il semble jouer avec le rythme, vif ou lent, y mettant un brin d'espièglerie -- sont des oeuvres à écriture savante qui s'éloignent grandement de mouvements physiques ; mais la sensibilité du pianiste nous en transmet l'esprit, sans jamais tomber dans une virtuosité clinquante. Retour à la musique qui donne l'envie de danser, avec Granados, Schulz-Evler, Albéniz et surtout, Gould ("Boogie-Woogie Etude"!). Ce dernier symbolise lui seul l'ouverture d'esprit d'une génération qui arrive, cette génération capable d'assimiler à la musique classique, parfaitement et sans aucune idée de cloisonnement, les styles musicaux appartenant a priori à un autre genre. Que ce soit des morceaux gais, joyeux, nostalgiques ou tristes, Benjamin Grosvenor rend ces caractères si naturellement évidents que chaque pièce devient irrésistiblement belle. Benjamin Grosvenor confirme qu'il est un des plus brillants jeunes loups du piano. Tact, esprit, intelligence: ce récital est une merveille. Il se trouve bien des jeunes pianistes épatants pour jouer Bach avec toute la palette de leur instrument mais sans son poids, valser avec Granados comme des tombeurs capricieux, libérer les parfums entêtants de Scriabine, clarifier "Le Beau Danube bleu" facon Schulz-Evler, bomber le torse avec un chic fou dans l'Andante spianato et polonaise. Et d'autres, encore, qui s'éclatent dans l'étude Boogie Woogie de Morton Gould. Mais un pianiste capable de tout cela, et qui plus est, de l'enchaîner avec tact dans un récital, nous n'en voyons qu'un.